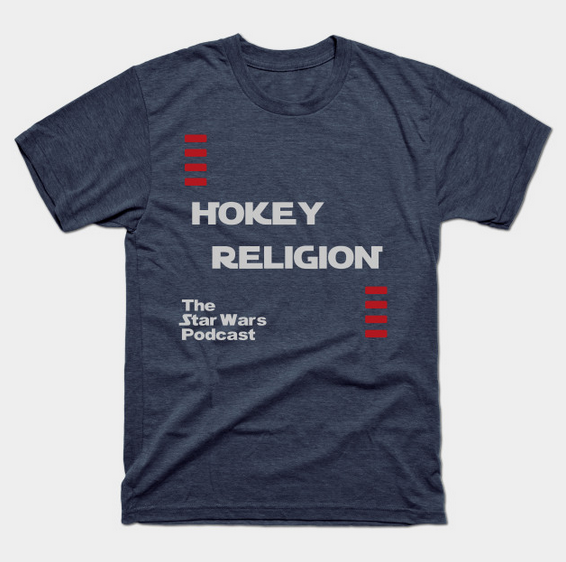 Hokey Religion is a show where two friends argue, geek out, and ask what-if about the excitement, theories, speculation, and news of the Star Wars universe that they have been soaked in since childhood. Our goal is to take these discussions (discussions we’d be having even without the show) and incorporate the listener in a way that reminds them of sitting with their own friends, having those relaxed and fun Star Wars conversations that they either already have or wanted to have. Star Wars is, like for so many others, our own “hokey religion”. The show is inspired greatly by improvised comedy shows and tries to blend that conversational, “yes-and”, anything-goes feel with a bit of the structure of the typical Star Wars news show. Hokey Religion is intended as a place to laugh, usually at our expense, and to (possibly) learn something you didn’t know yet about Star Wars.